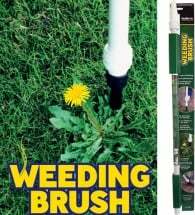 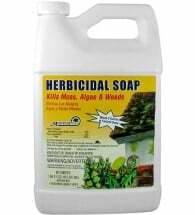 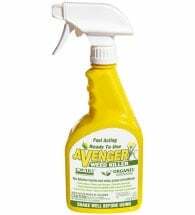 If you’re going to take the time to pull weeds, you want to make sure they’re completely eliminated. 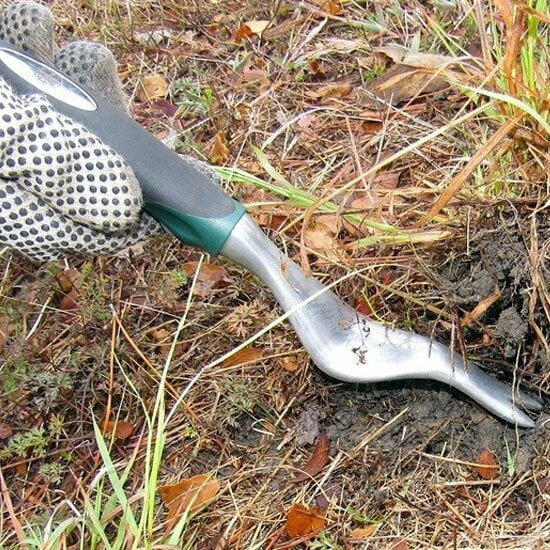 The Hand Weeder Tool for Root Removal does the trick. 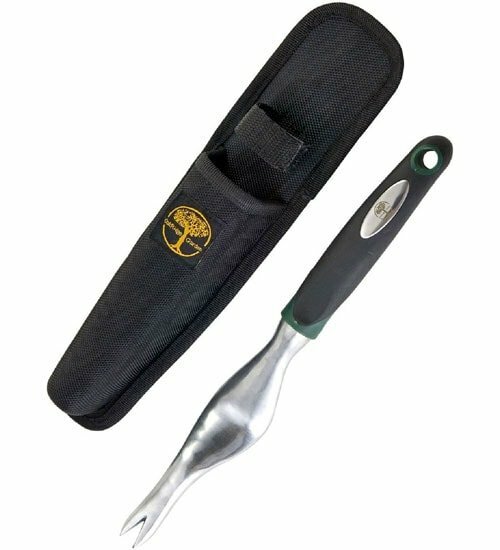 The forked tip and curved blade let you leverage stubborn plants — every inch of them — out of your garden. 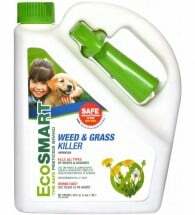 Lightweight, ergonomic, and small enough to keep on hand wherever you garden. 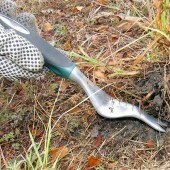 Dig the tip into the ground around a plant’s stem, push down on the handle, and the unwanted plant will pop out.